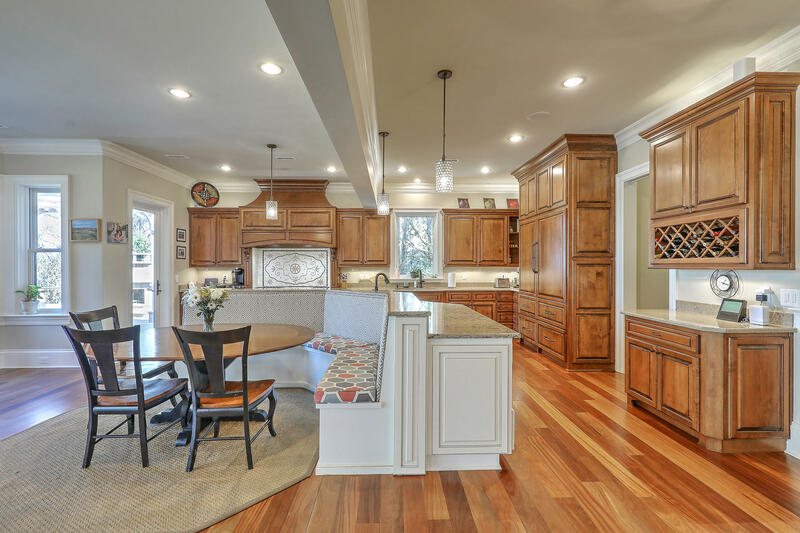 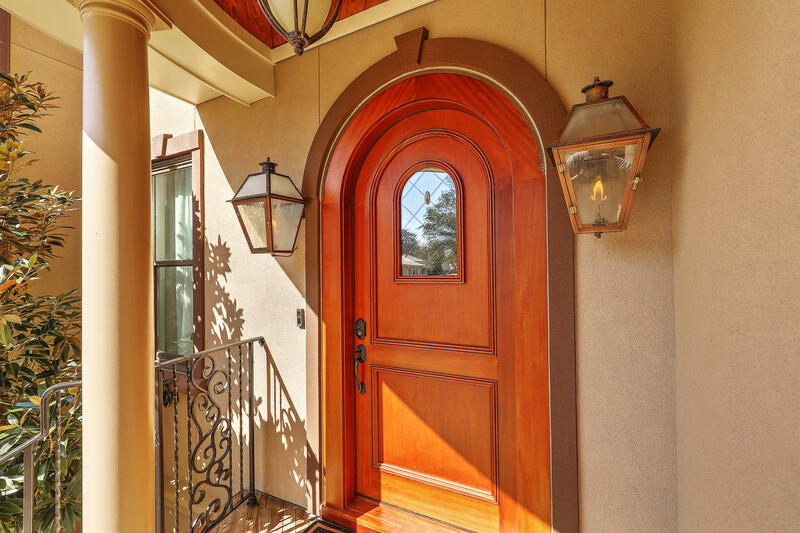 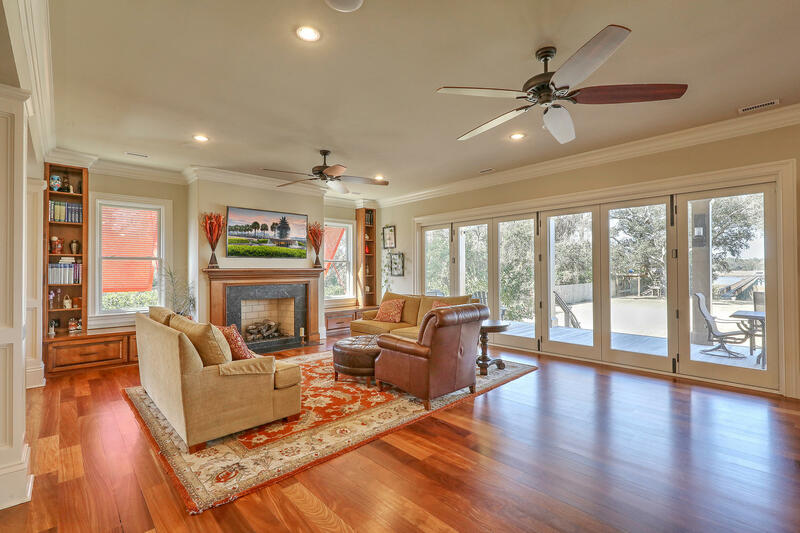 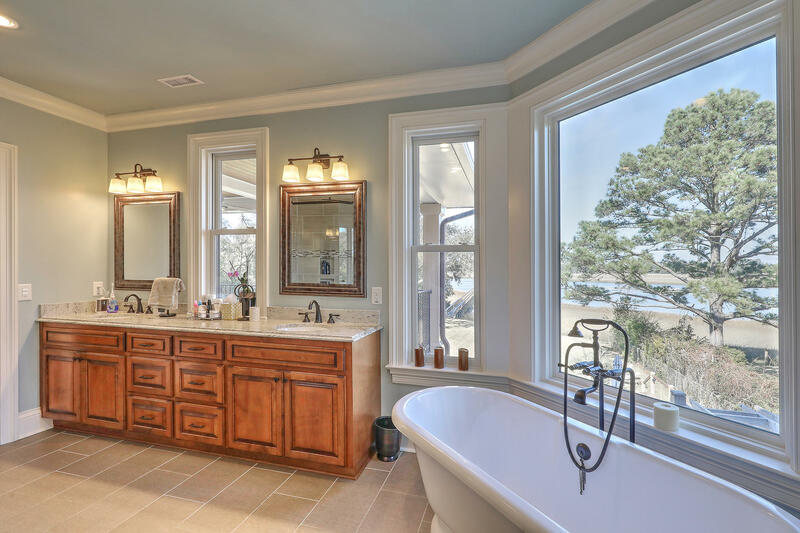 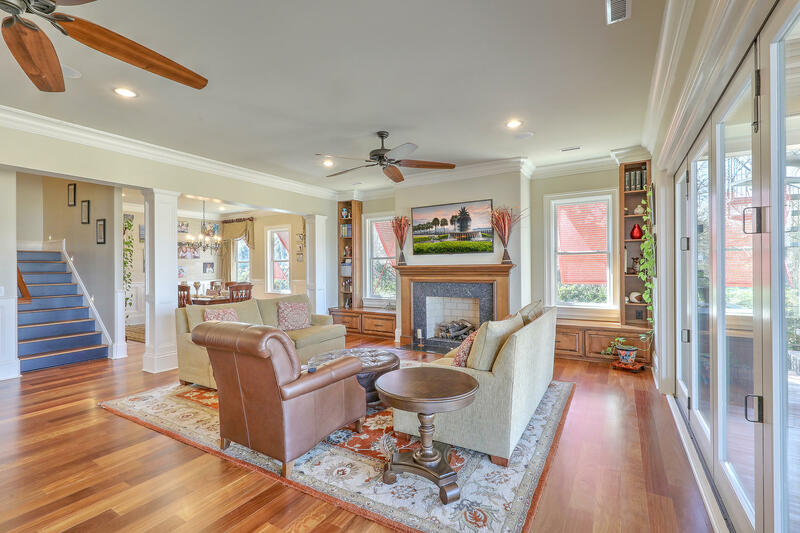 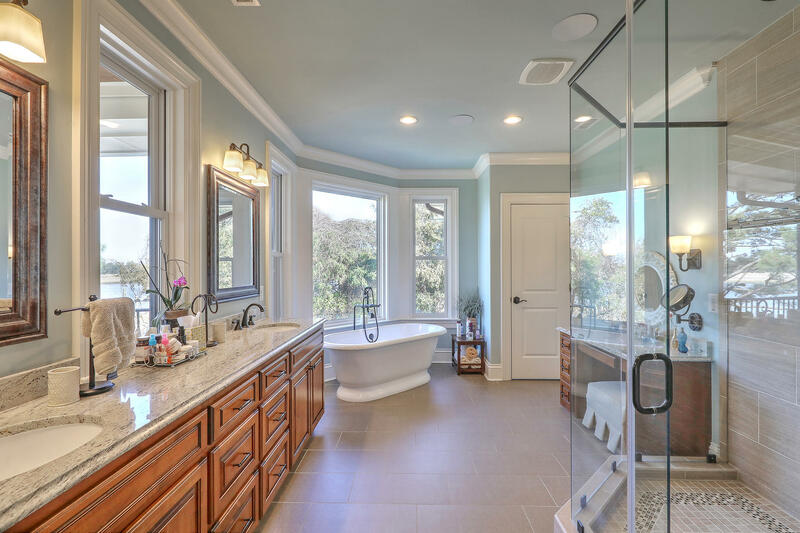 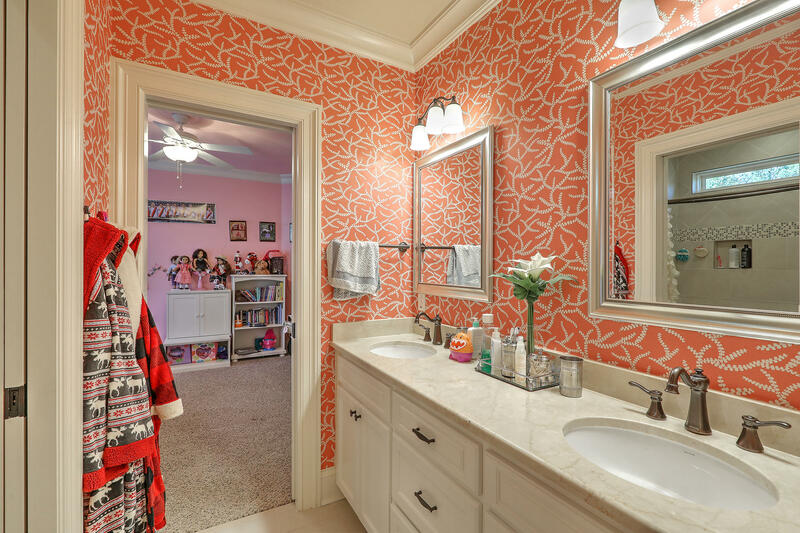 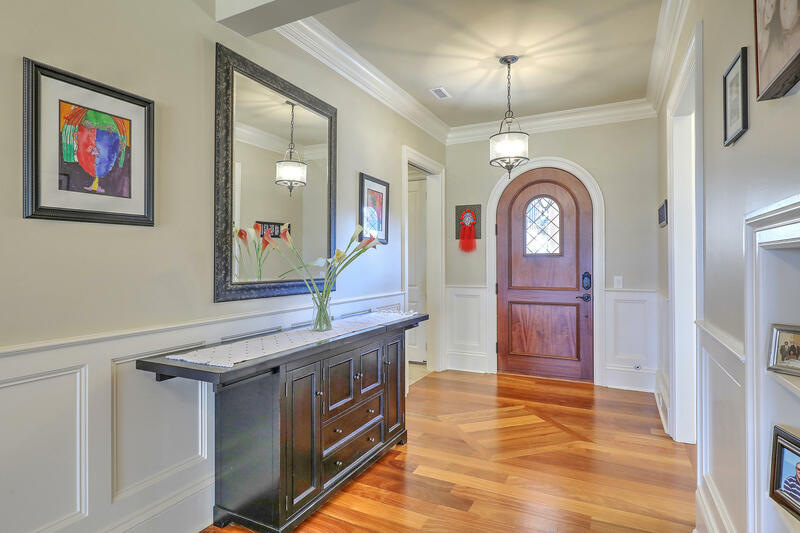 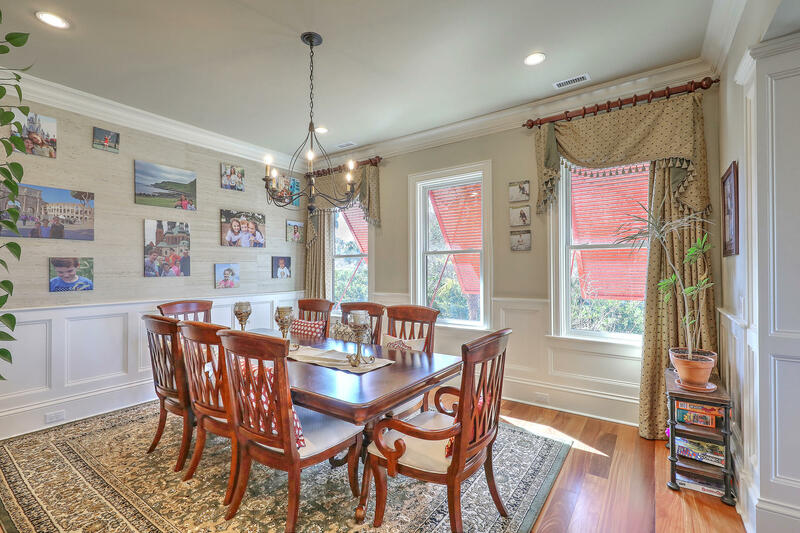 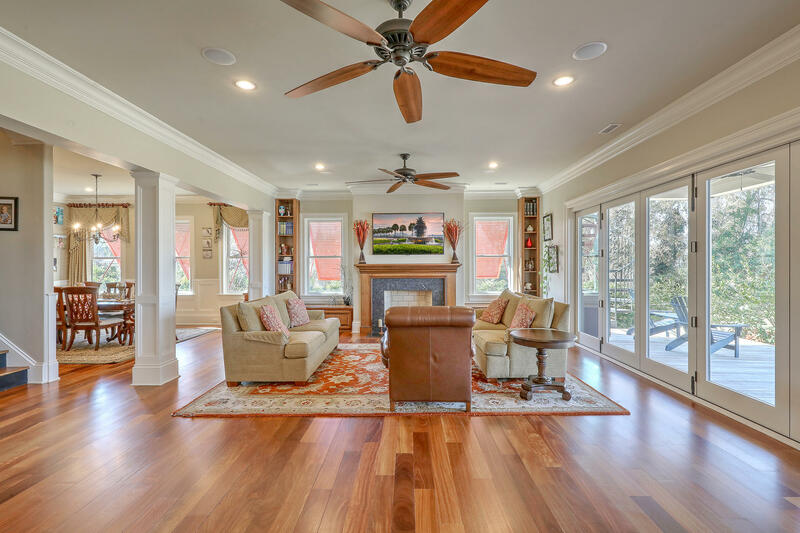 This custom home was completed by master builder Tommy Priester in December 2014. 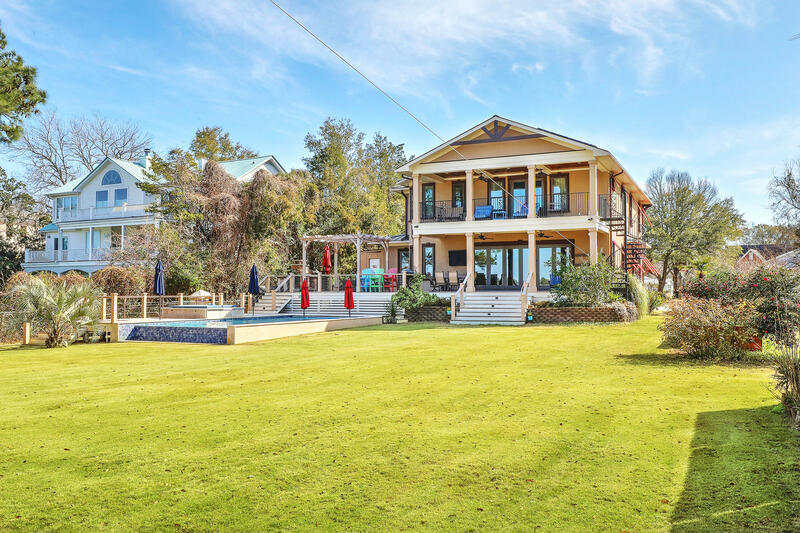 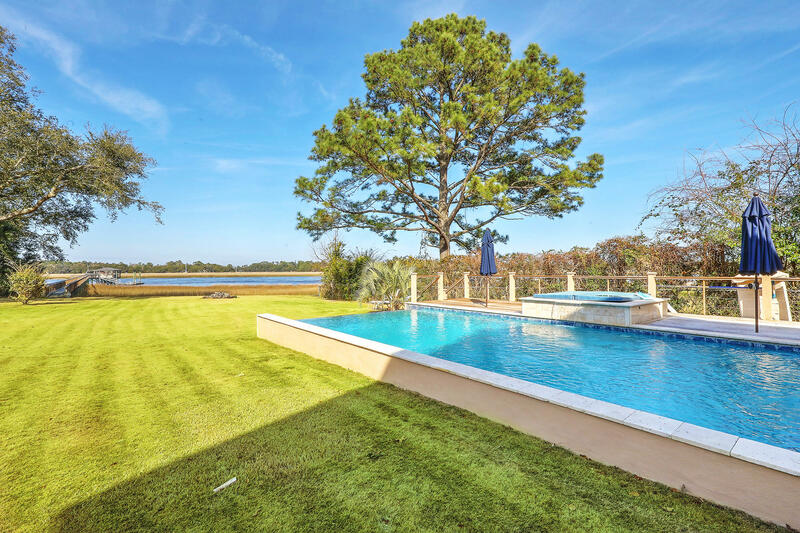 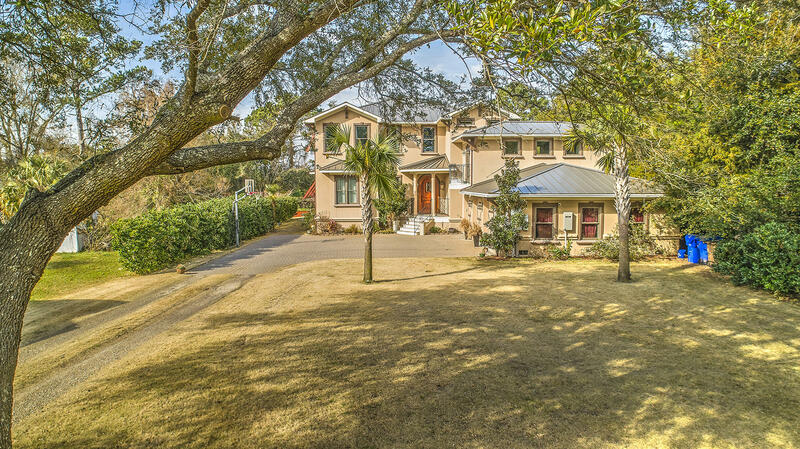 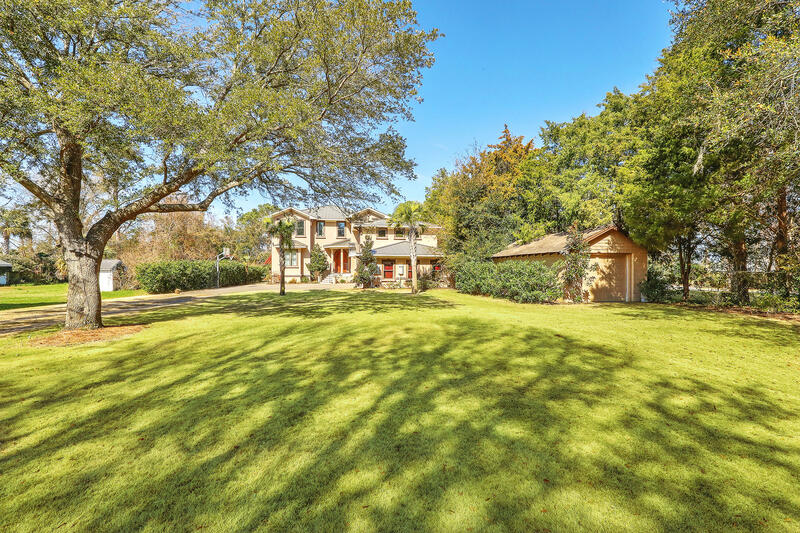 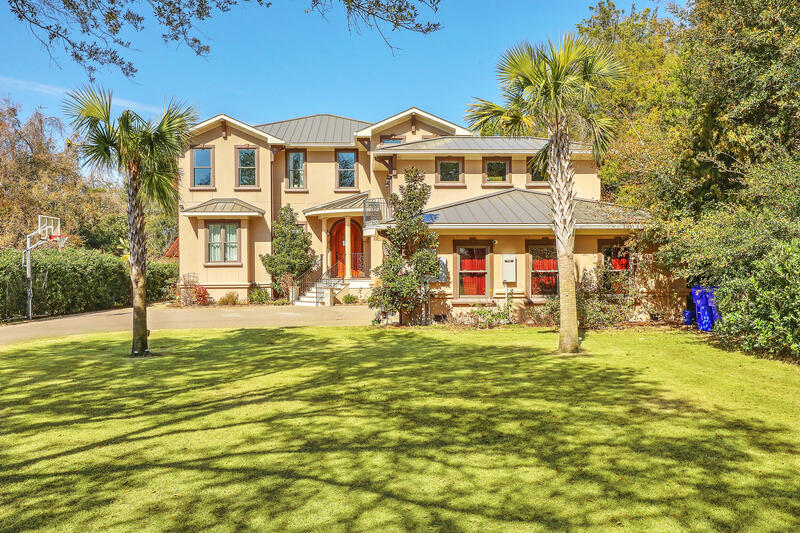 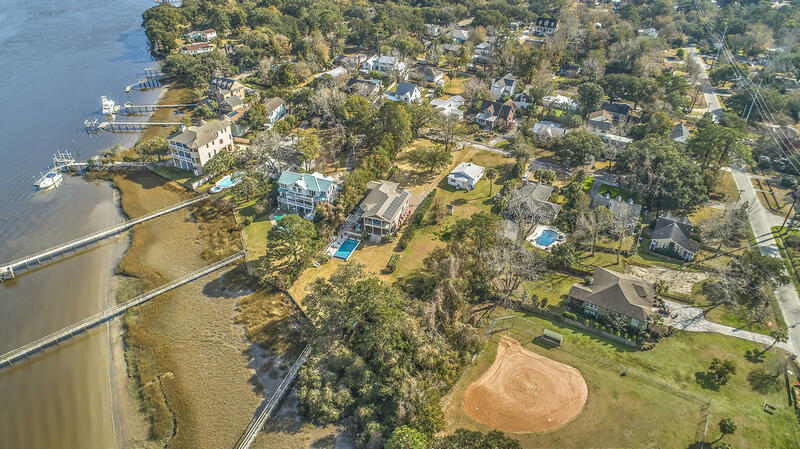 It is the one of the only homes available on the market that has deep water dock and located less than 10 minutes drive to downtown Charleston.Built in historic Riverland Terrace, where the streets are lined with picturesque oak trees, this home sits on two parcels of land, giving the owner nearly an acre of high ground. 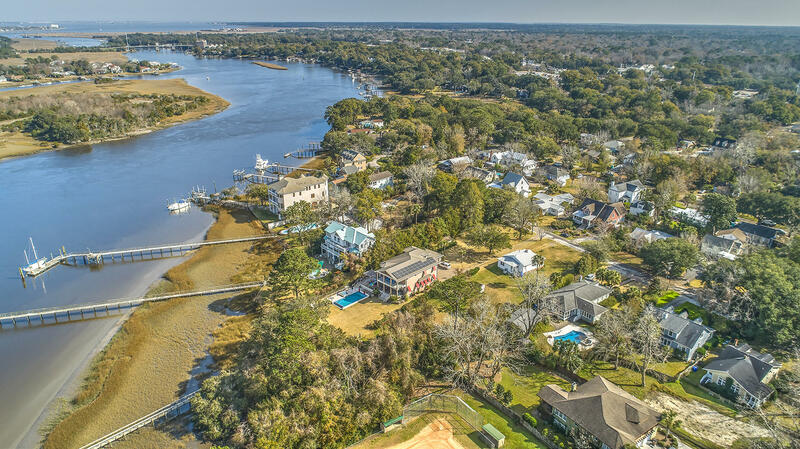 A 4ft tall sea wall protects the property from erosion. 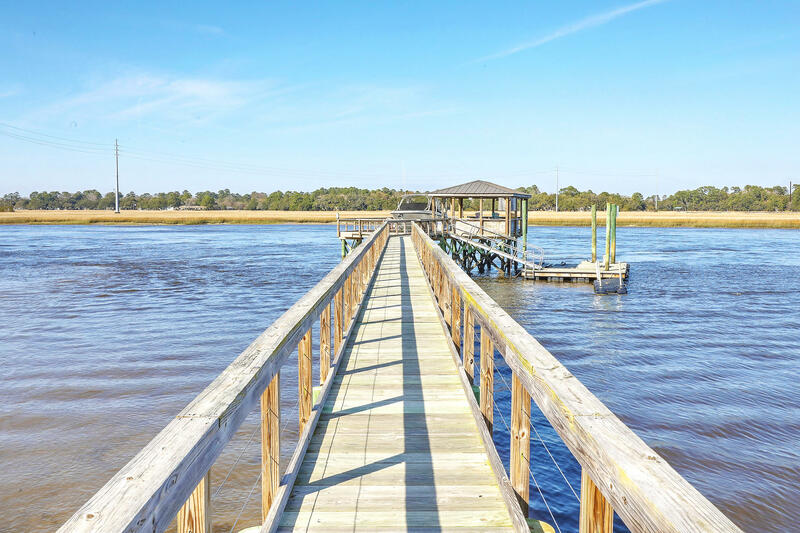 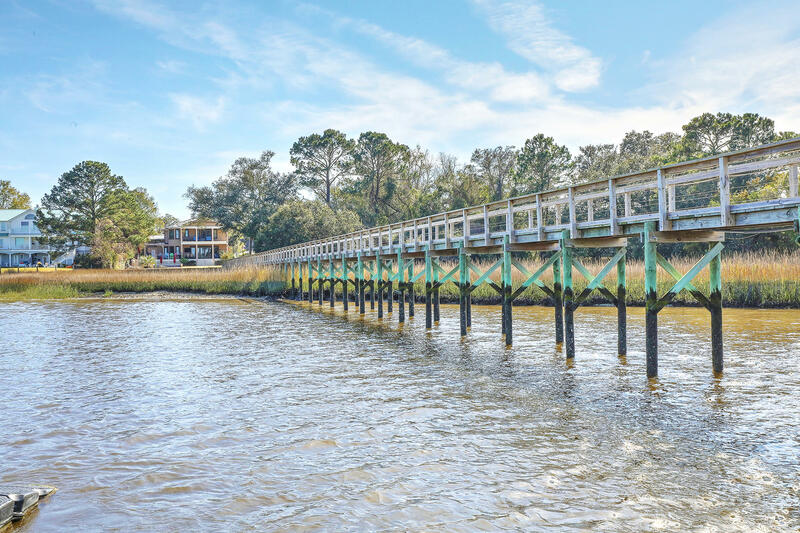 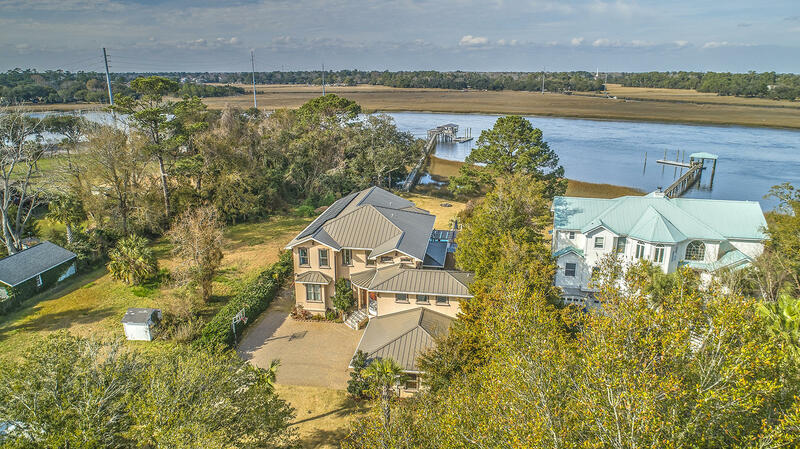 There is a 400ft dock, with a 20ft x 26ft covered pier head that provides views up and down the Wappoo Cut so owners can enjoy breathtaking sunsets. 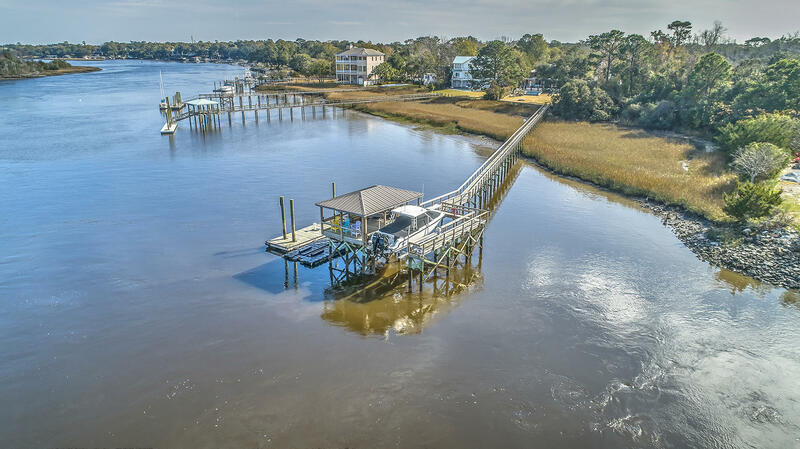 The dock is equipped with power, water, a 13,000 lb boat lift, a jet dock capable of holding a 23ft boat, a floating dock that provides 33ft of linear dock, and a swimming area behind the dock. 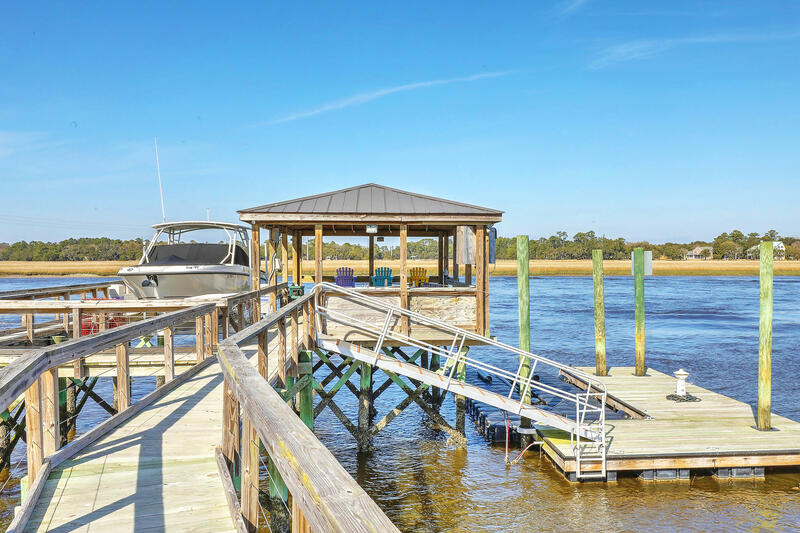 At low tide, there is 5 ft of water behind the dock in the swimming area, and along the dock, the depth drops to over 30 ft., allowing for the largest of boats to be tendered. 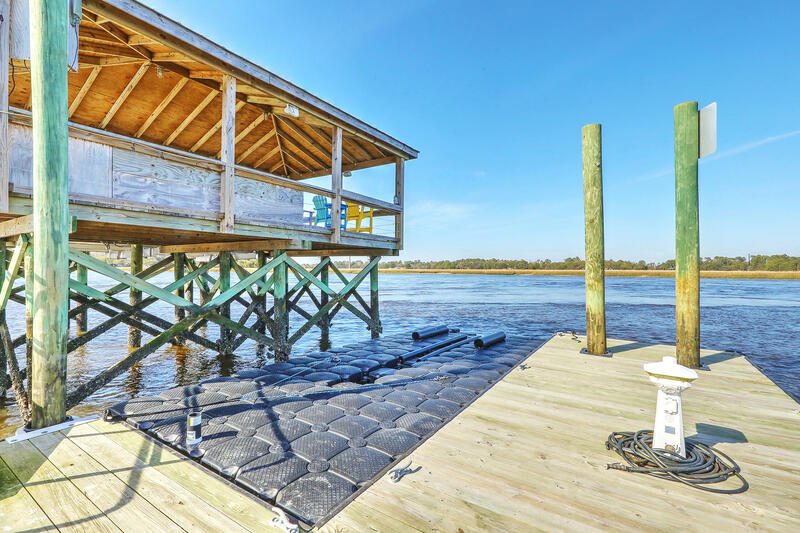 The pilings securing the floating dock are over 50ft in length. 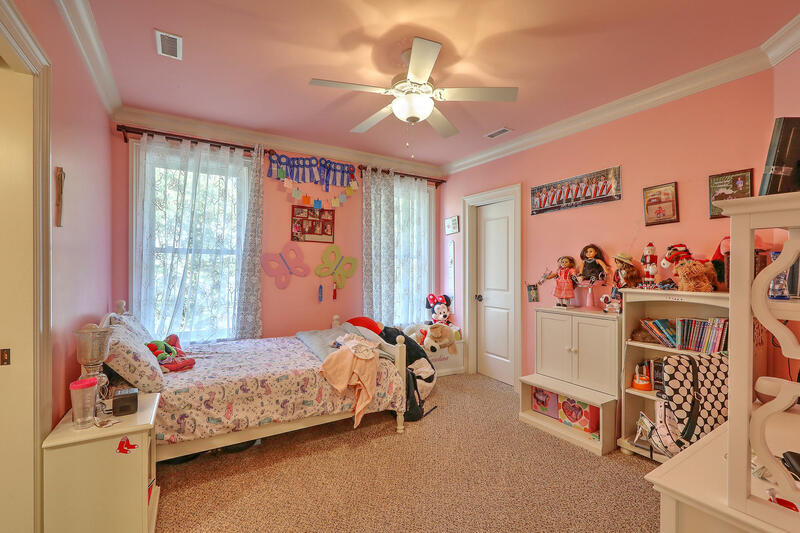 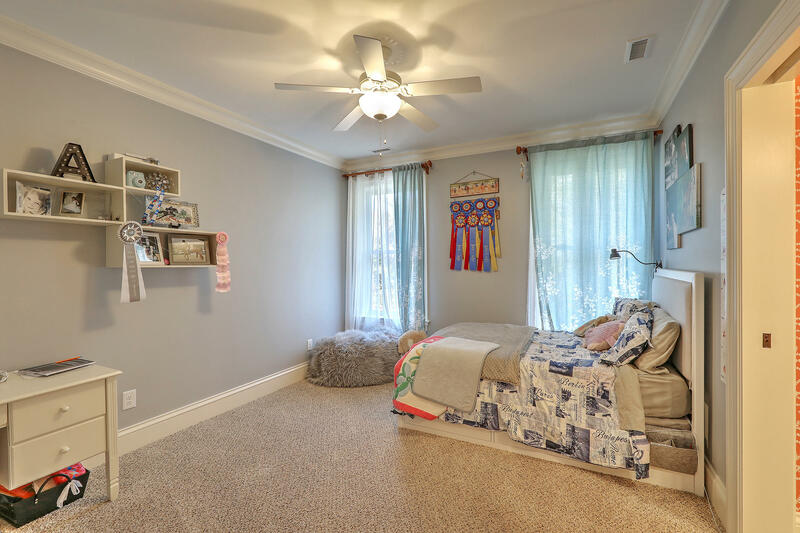 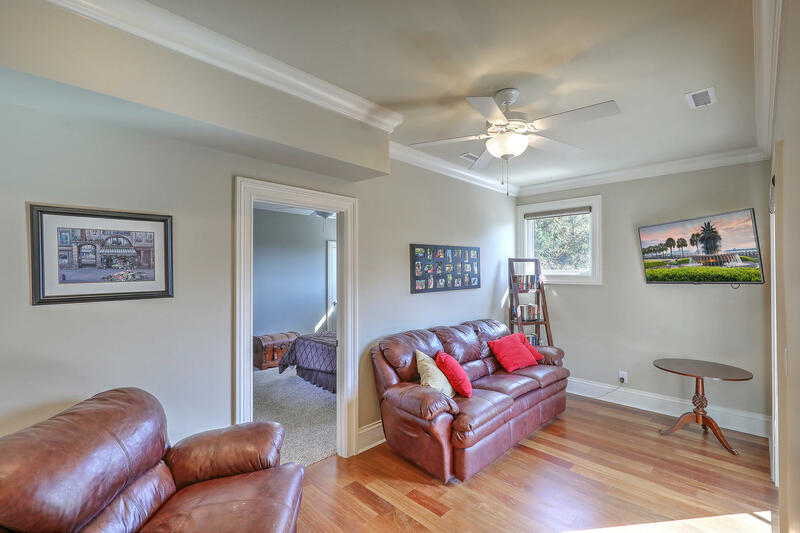 The home sits perfectly on the lot, providing a generous front yard and back yard. 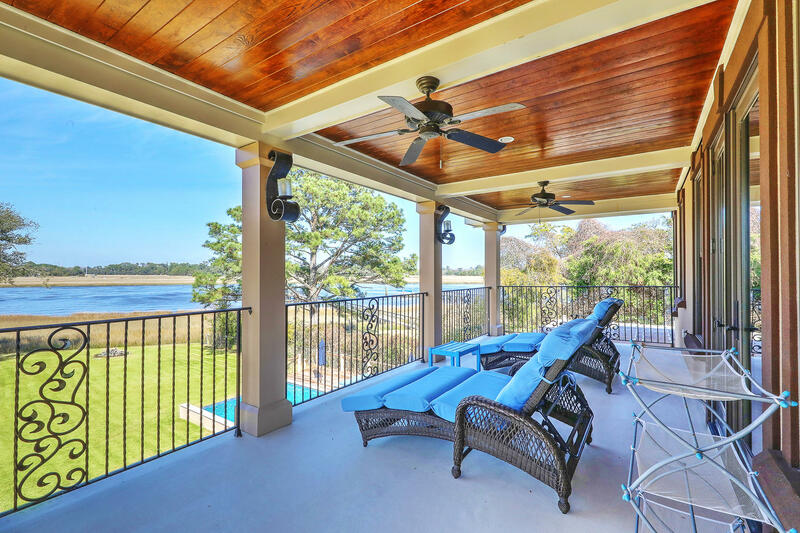 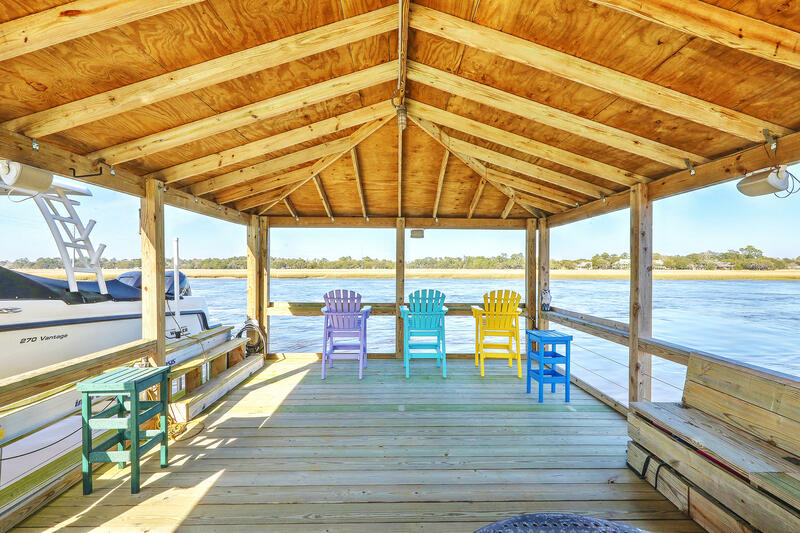 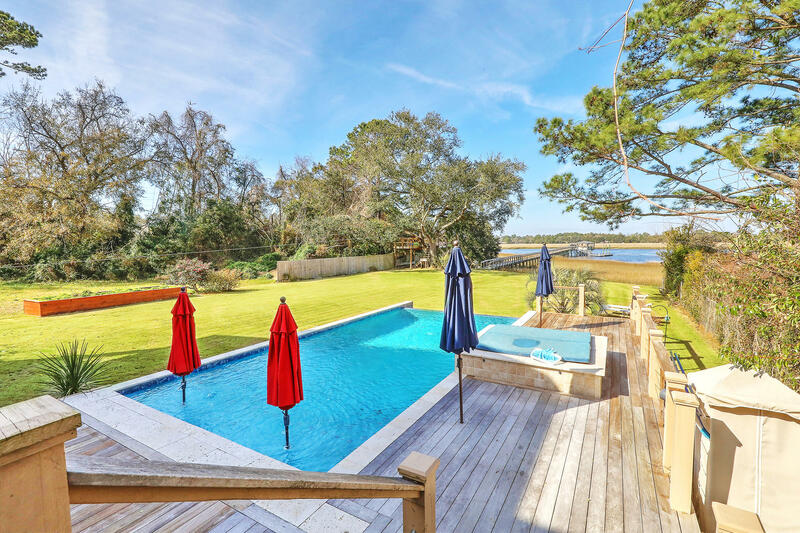 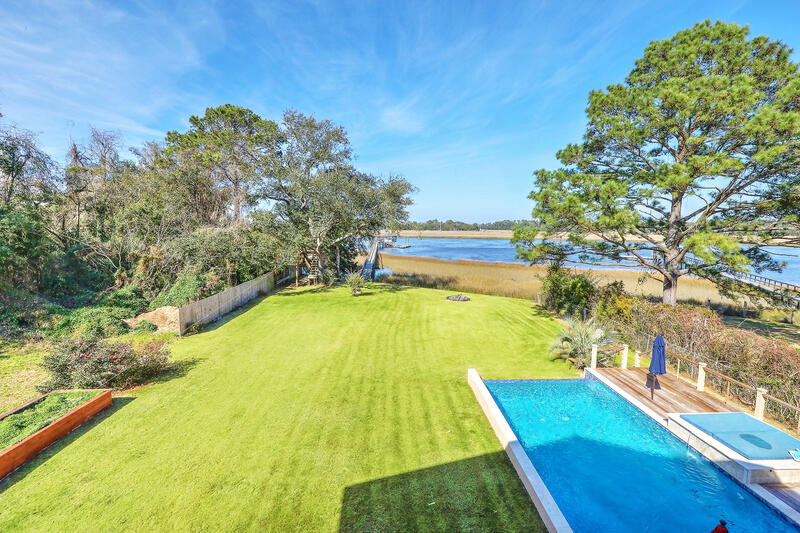 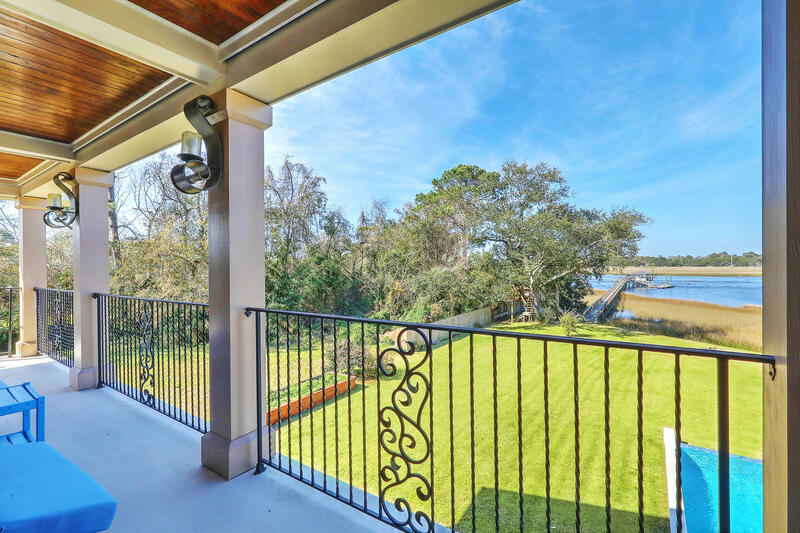 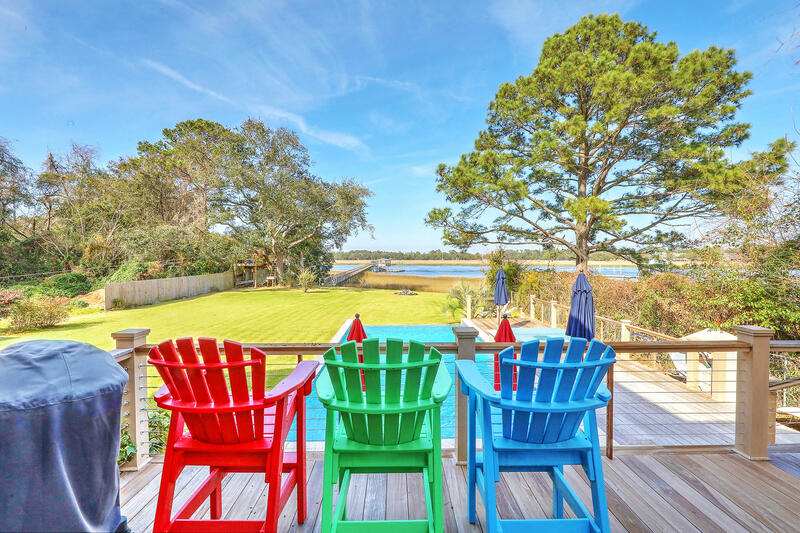 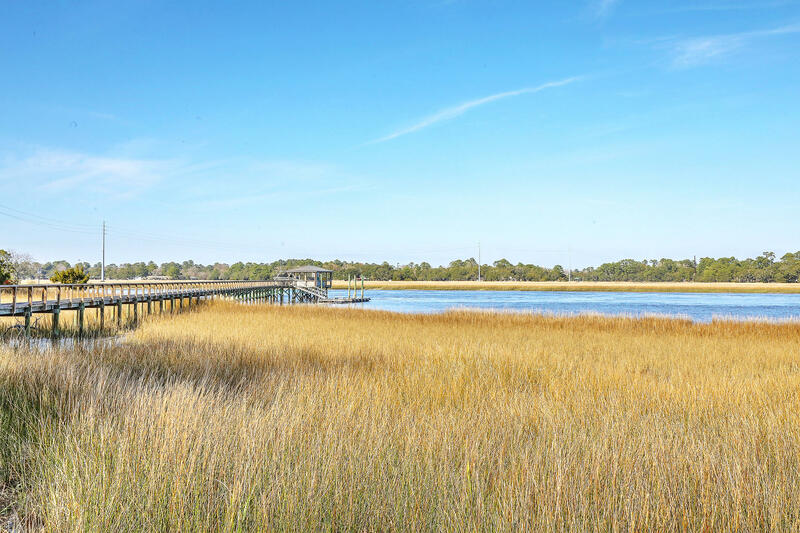 The Ipe decking provides the owners with beautiful panoramic views of the Intracoastal Waterway. 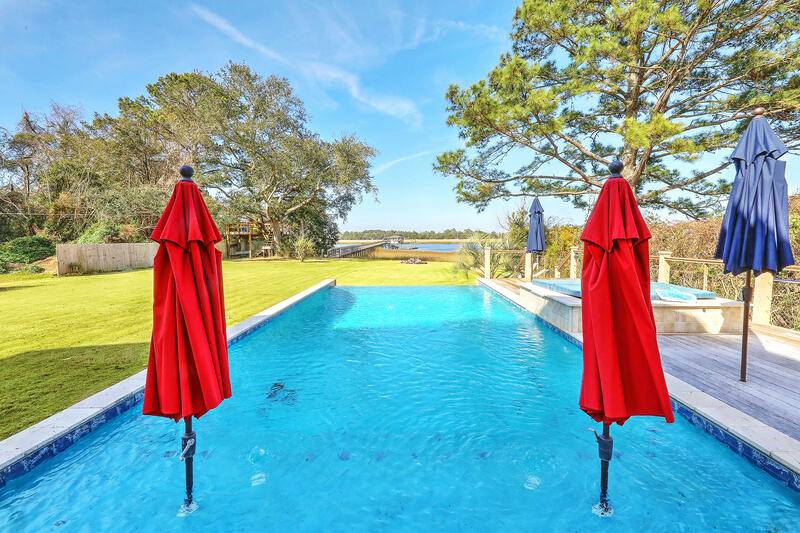 The infinity edge pool and spa is heated for year-round enjoyment and provides the opportunity to cool off after a day of boating. 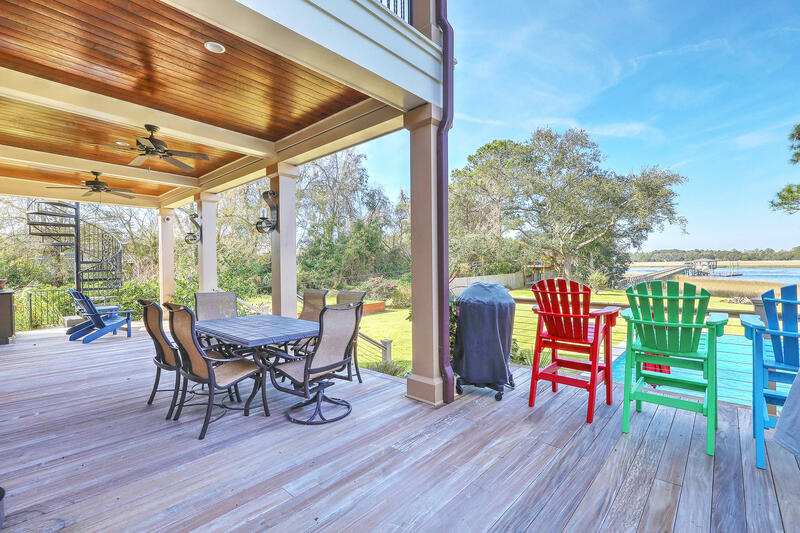 The outdoor fireplace and cooking area ensures that the family and their guests will be well rewarded after a day of outdoor play. 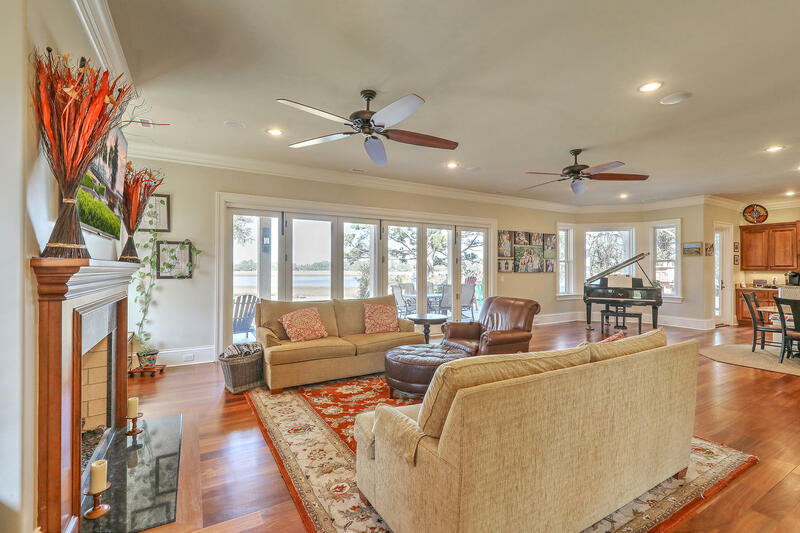 Connecting the house to the outside world is an 18 foot retractable door that opens to the spacious living room. 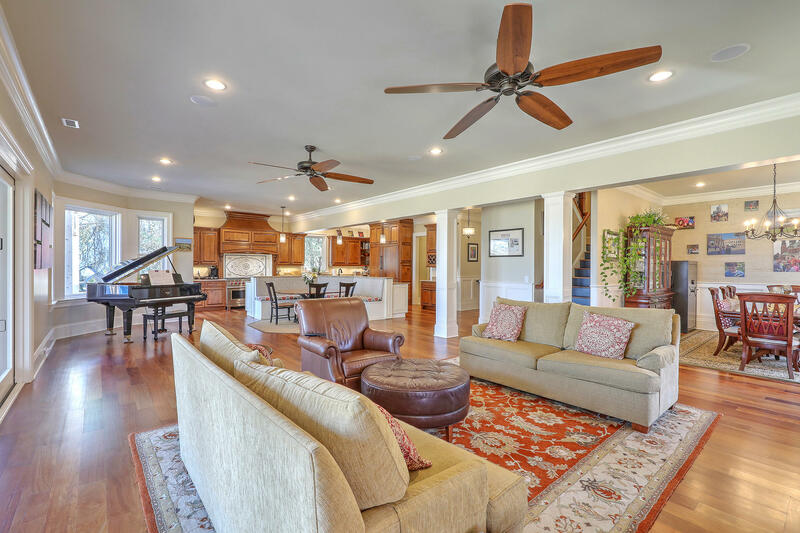 The open concept is perfect for entertaining. 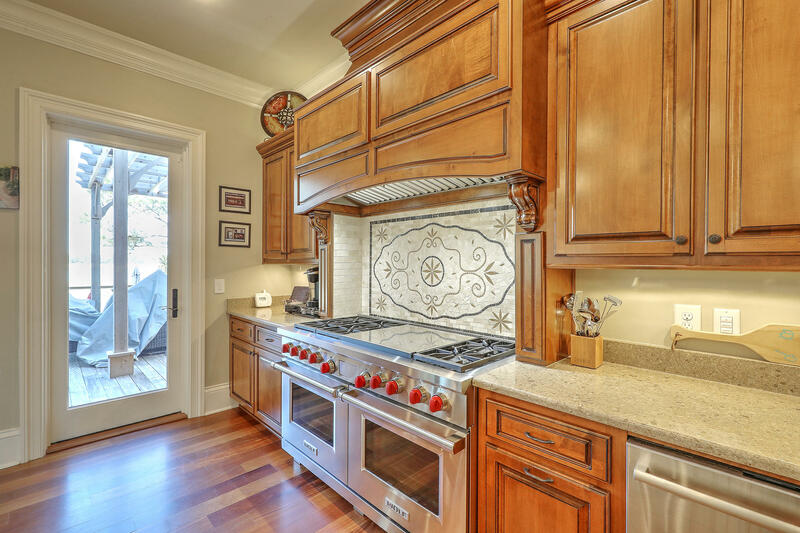 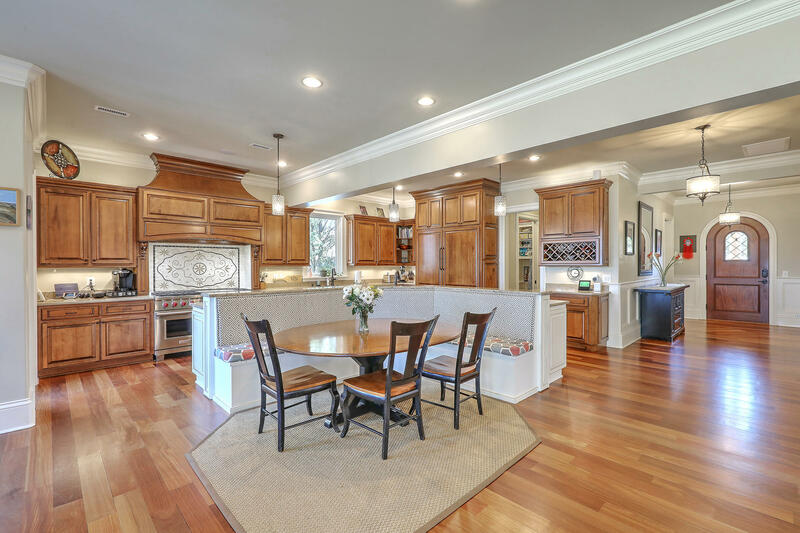 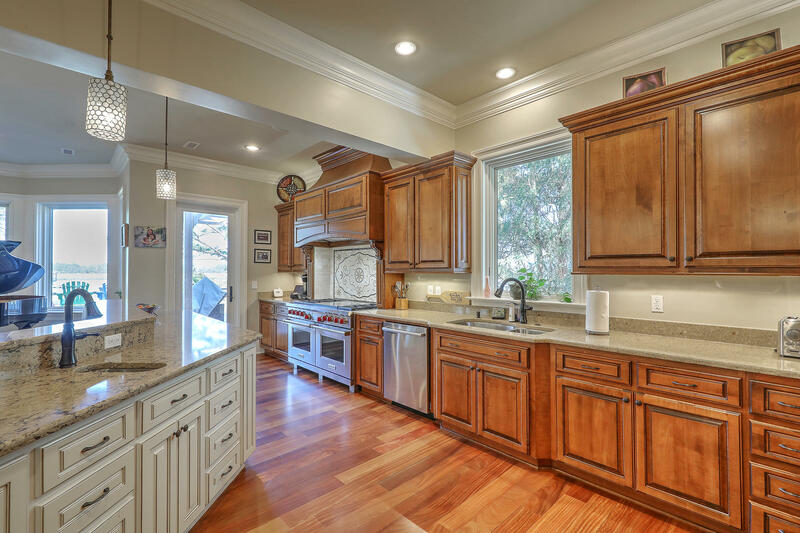 The kitchen is masterfully equipped with a 60 inch Wolf range with 6 burners and a ceramic infrared griddle, 2 Sub-Zero Refrigerator/freezers masterfully hidden by the expert craftsman, a beverage center, wine rack, and views of the water. 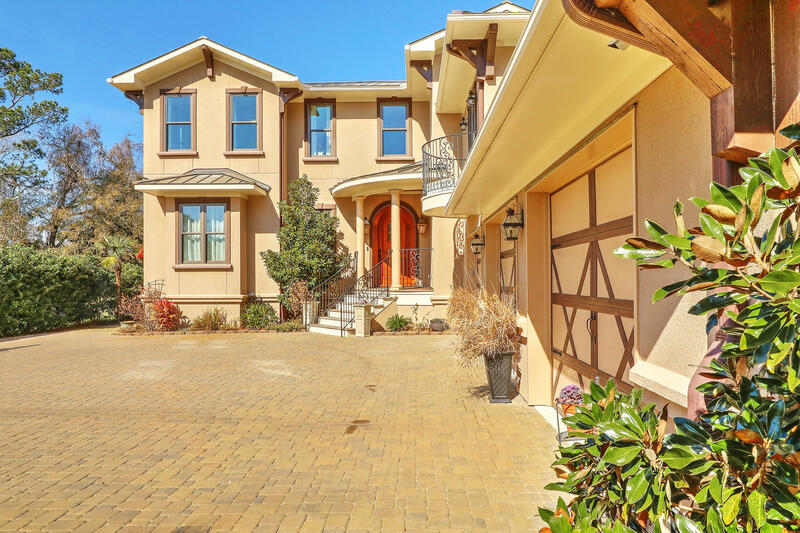 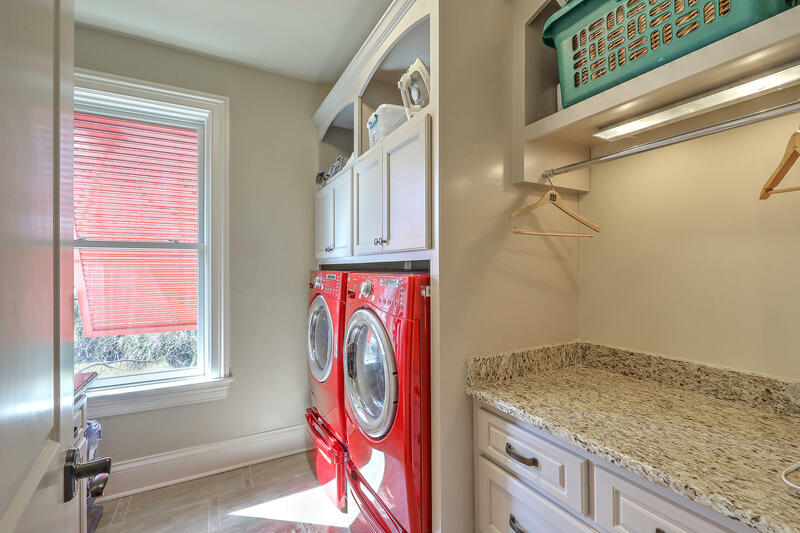 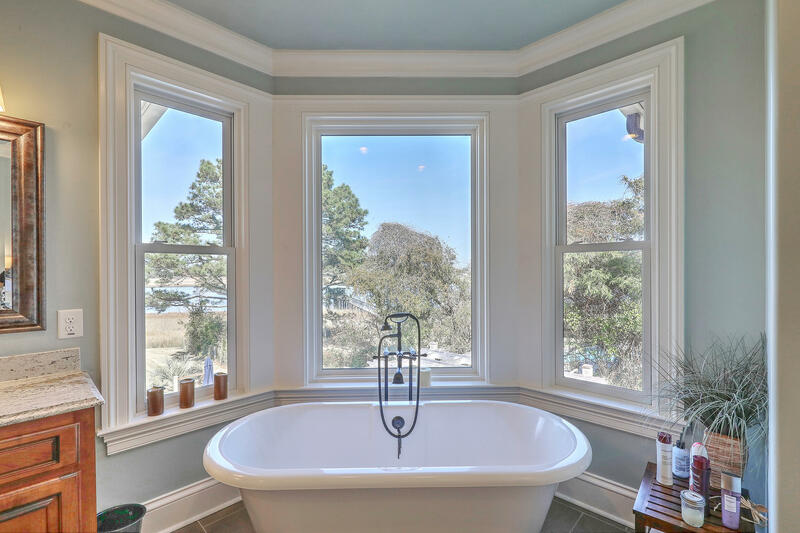 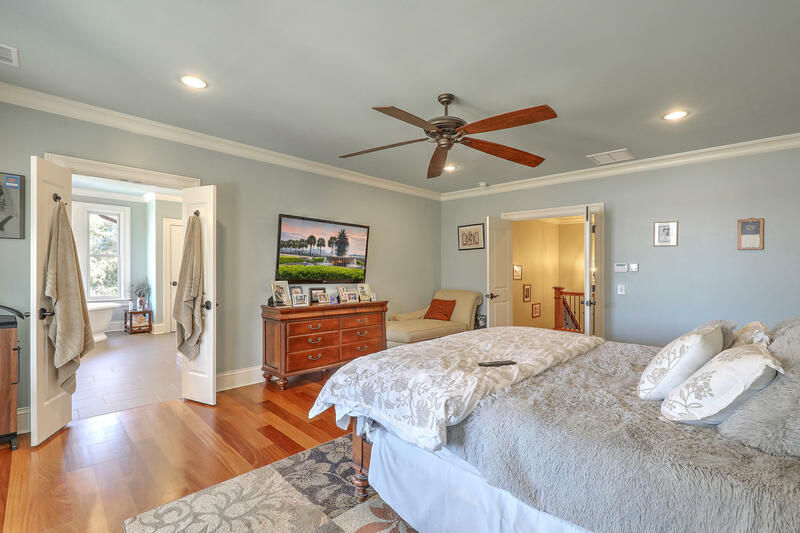 This 5 bedroom (all upstairs), 6 bathroom home is fully integrated with Control 4; giving the homeowners total access to their home for lighting, audio/video, heat/ac, etc while at home or away. 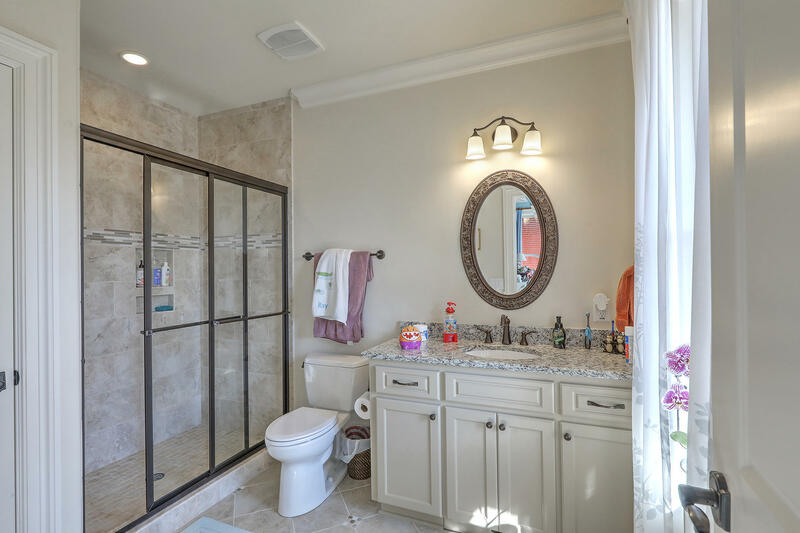 The security cameras and alarms provide peace of mind that their prize is well protected. 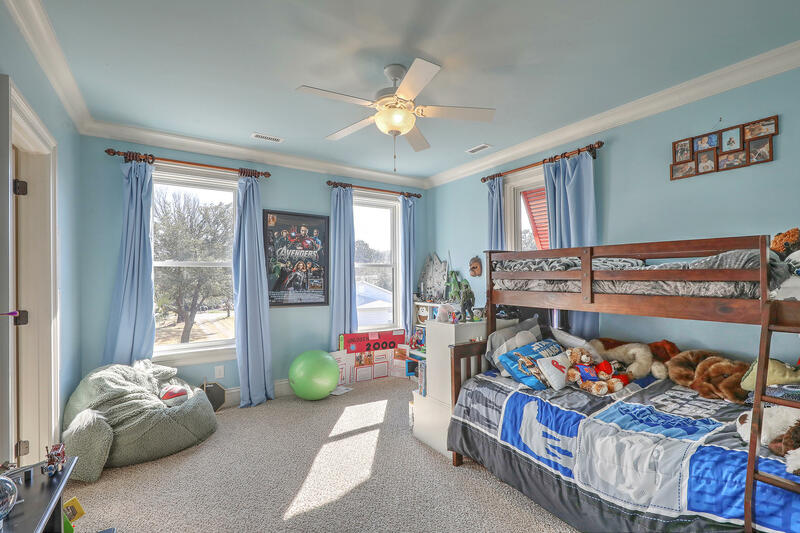 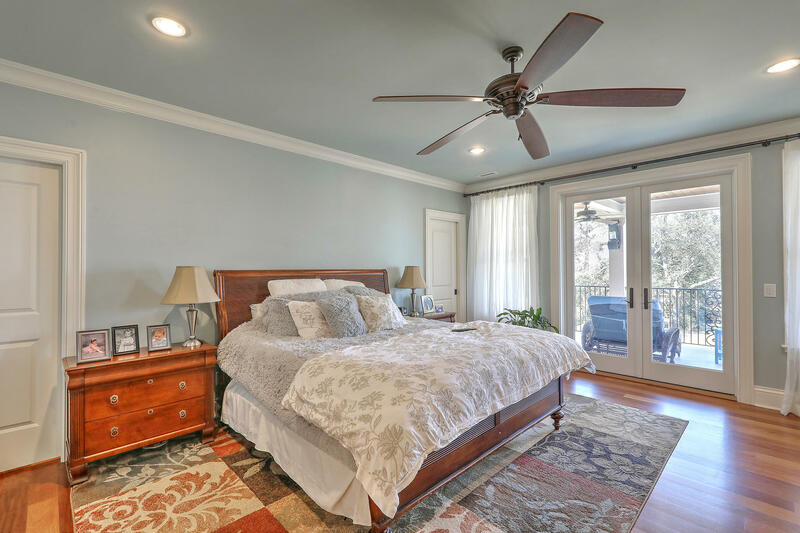 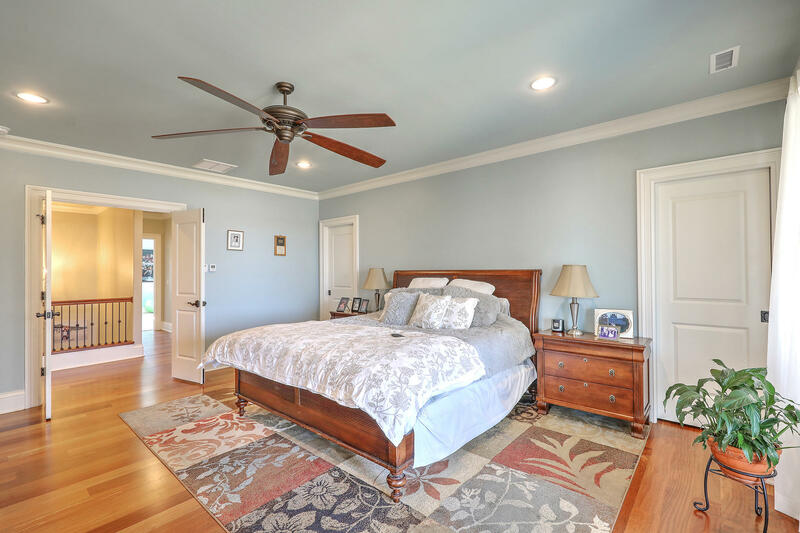 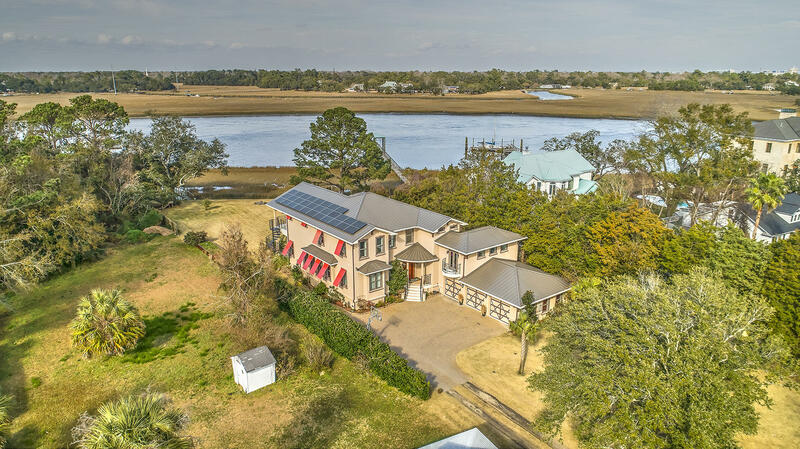 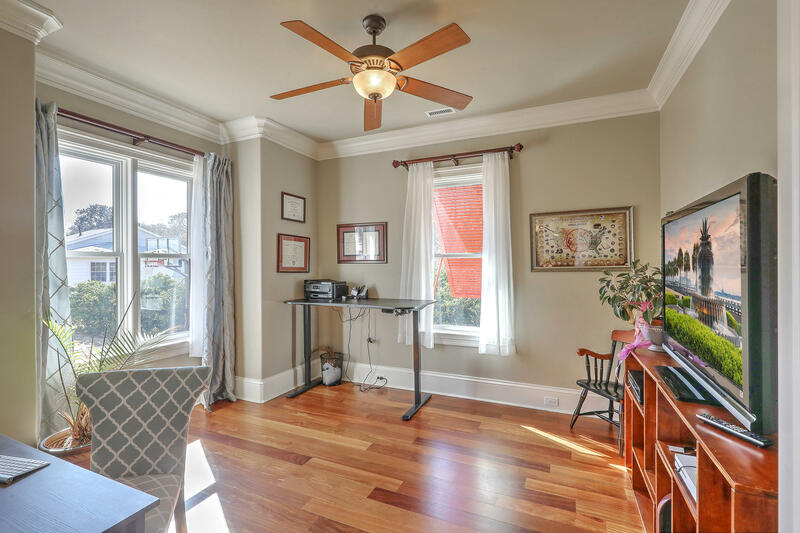 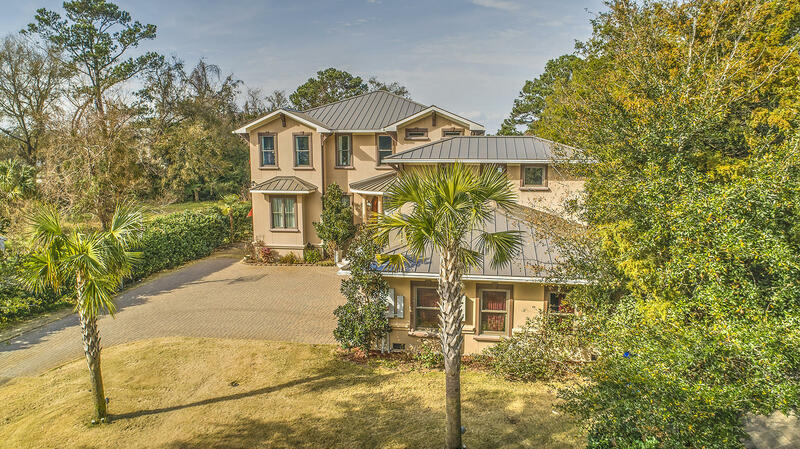 In addition, all windows are hurricane grade, and the metal roof will protect this home from the elements, while the Generac generator provides uninterrupted power. 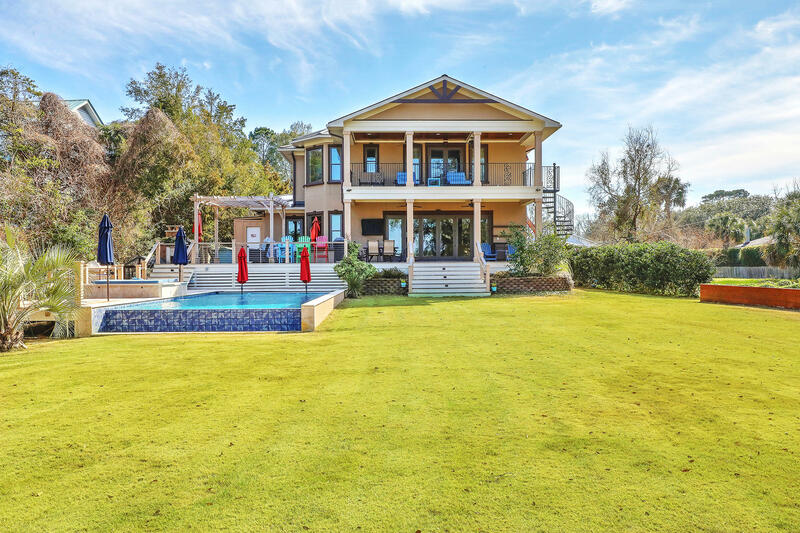 This home really has it all. 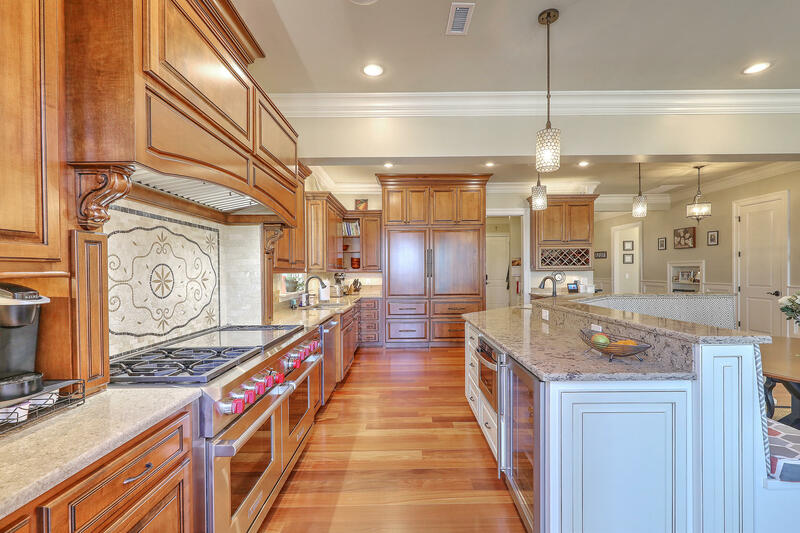 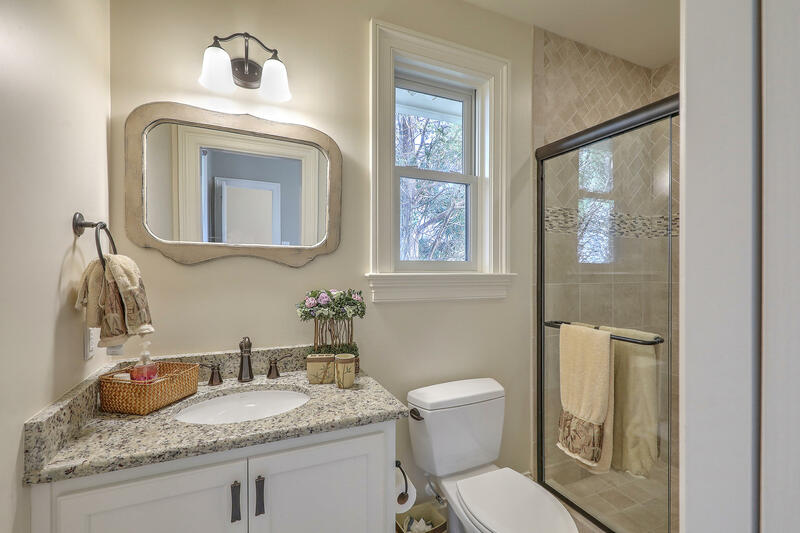 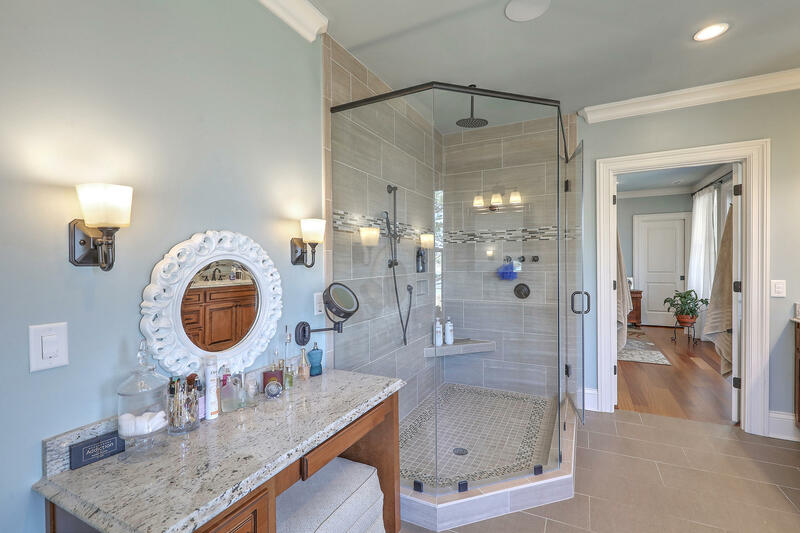 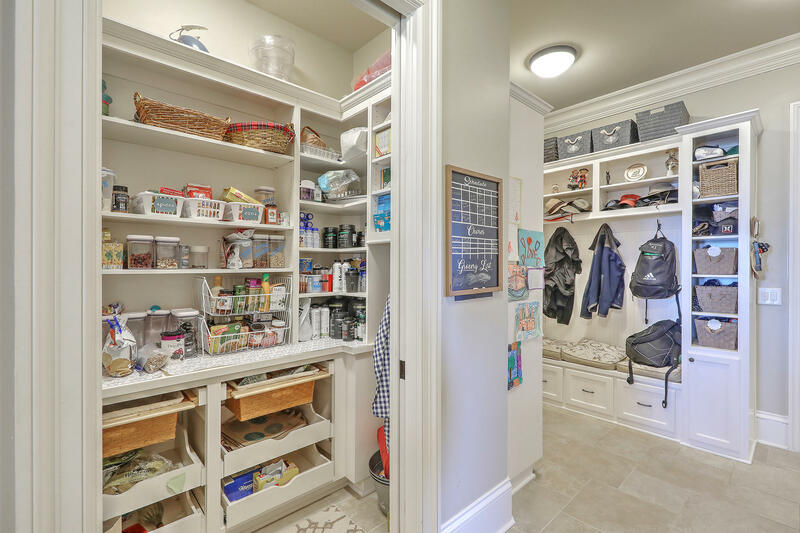 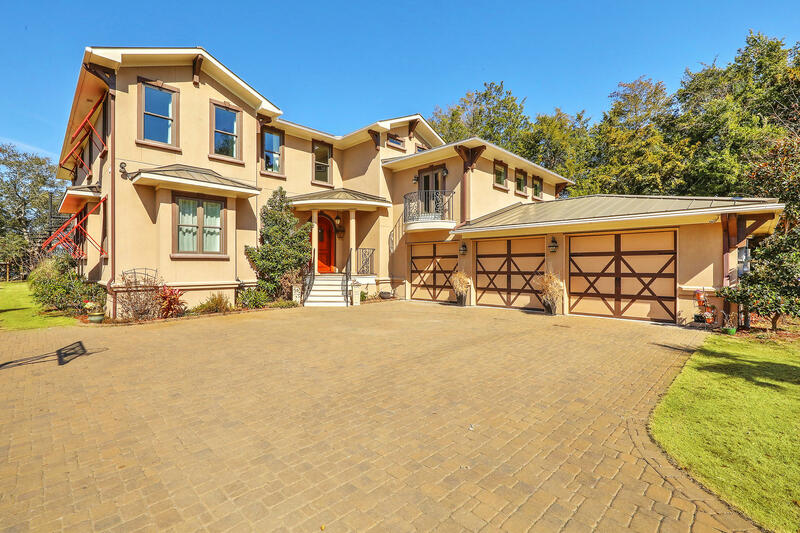 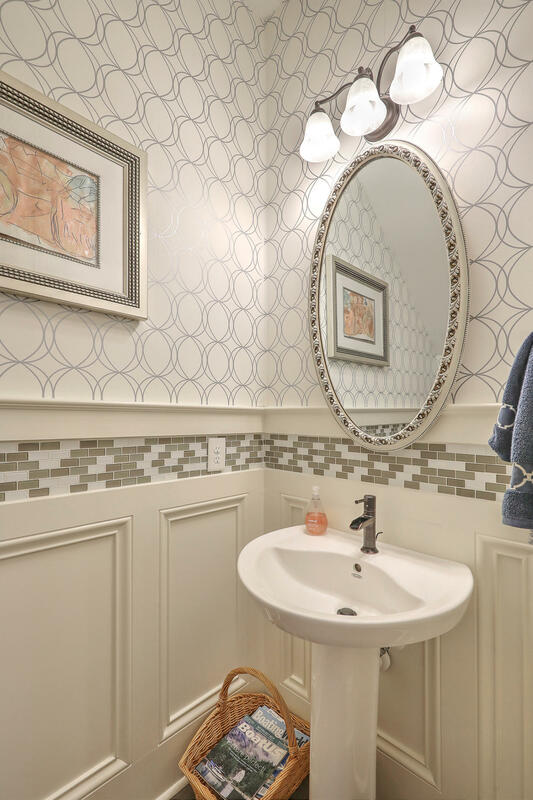 Custom cabinetry, top of the line finishes, expertly crafted hardwood detail, sturdy Cumaru flooring, encapsulated and dehumidified crawl space, LED lighting throughout, large 3-car garage, beautiful stone driveway, the list goes on and on. 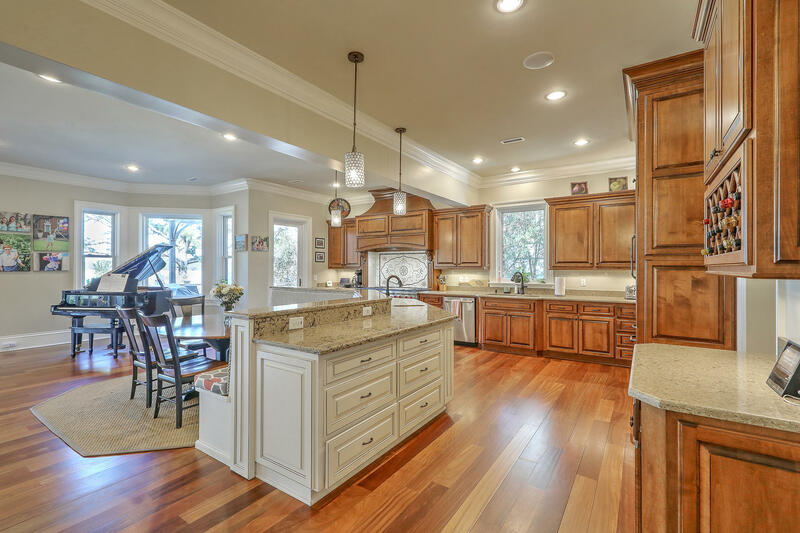 Further, the current owners who built the home can provide the new owners with a one of kind chance to own a spectacularly built home and the contacts of every person involved in building this masterpiece.